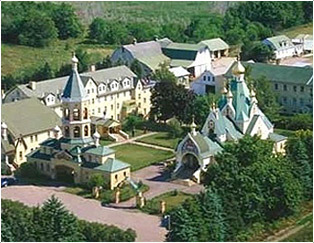 According to the blessing of the diocesan bishop at the founding of Holy Trinity Monastery, the full cycle of services is conducted without omission according to the Church tradition and rubrics. Church services last for almost six hours during a typical work day in the monastery. 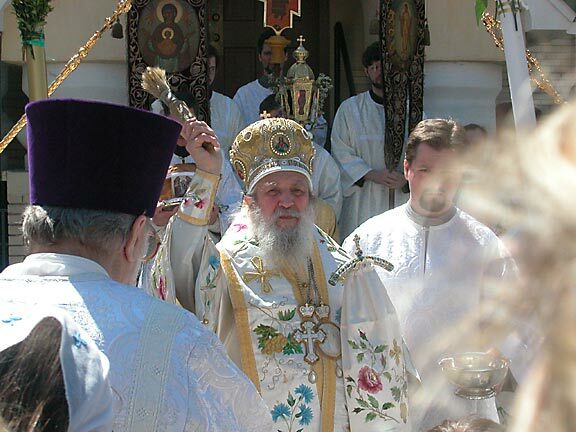 On the eve of Sunday or a particular feast day an All-night Vigil is held consistent with modern Church practice, and on the morning of the holy day itself a magnificent Hierarchical Liturgy is celebrated with monastic and visiting clergy participating. 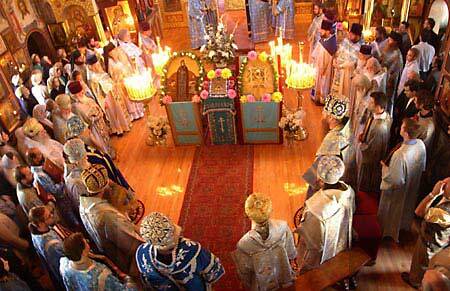 Services are held in the ancient Church Slavonic, using traditional Russian chants performed by the monastery/seminary choir. While standing in the main cathedral surrounded by the byzantine style frescos and icons, listening to the solemn Russian chants, with the sweet smell of incense and beeswax candles, one no longer feels to be on earth, but rather conveyed to heaven. 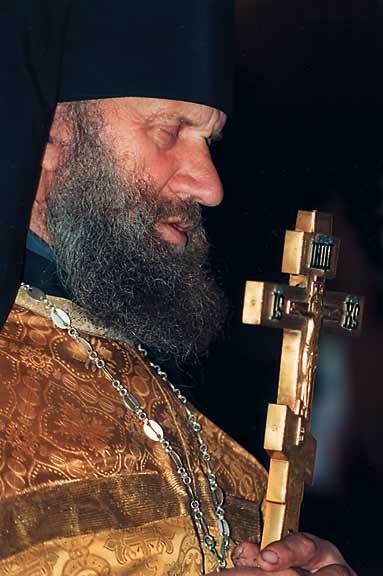 "through the prayers of our Holy Fathers Lord Jesus Christ have mercy on us."